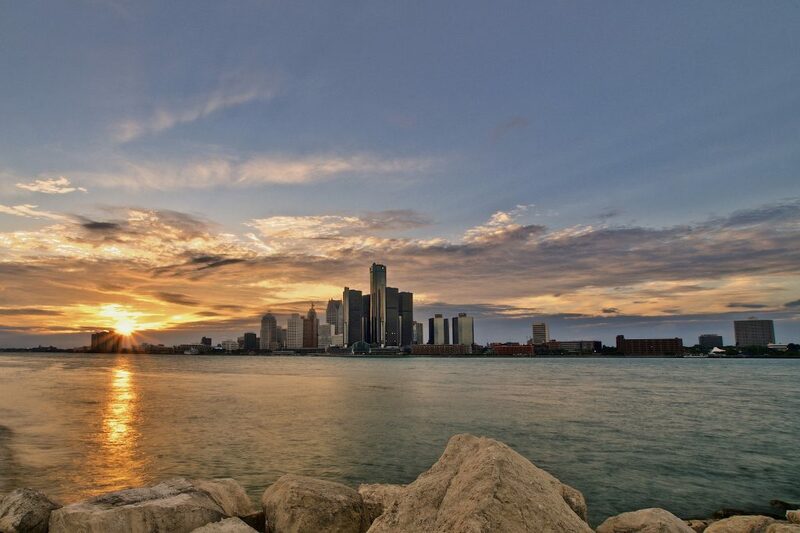 Michigan is one of the largest and most diverse States in the US, and there’s everything from vibrant urban settings to beautiful lakeside charm to enjoy. With so much to do in Michigan, it can be difficult to decide what to do on your travels. In this travel guide, we’ll help you narrow down everything you’ll want to do on your first visit. To get to Michigan, you have a few different options. Detroit is a major international airport, and you can find direct flights there from many different countries. If you are flying from within the United States, you can also fly into Grand Rapids or a variety of other smaller airports. Detroit is also very close to Windsor, Canada, so if you are Canadian, you can drive over the border this way. Detroit once had a reputation as a city in disrepair, and although it is still a little rough around the edges, it has started attracting creatives who are revitalizing the city. Detroit has a history as the center of the automotive industry, but nowadays there’s much more to it than that. Here’s what you should do on your visit to Detroit. Watch a sports game – Detroit has a huge sports culture, and there are plenty of teams to root for. Check out Tigers baseball, Red Wings hockey, Pistons basketball, or Lions football, depending on what time of year you are visiting. Visit a museum – Detroit has a few notable museums to choose from. The Detroit Institute of Arts is one of the largest art collections in the United States. The Henry Ford Museum is a history and culture museum located in nearby Dearborn. The Motown Museum celebrates a vibrant period in music history. Other notable museums include the Michigan Science Center and the Charles H. Wright Museum of African-American History. Explore Belle Isle – This park is located just out of the city on its own island. It is home to beautiful parks, an aquarium, a beach, the Great Lakes museum, and more. If you visit Detroit when the weather is good, it’s worth taking a day to see everything this charming park has to offer. Go shopping at Eastern Market – This giant outdoor market is home to local artisan vendors selling unique products that make perfect souvenirs. There are also notable local food vendors there if you’re feeling peckish. Explore Mexicantown – This is without a doubt one of Detroit’s most unique neighborhoods. It’s full of stunning street art, and you can find plenty of affordable and authentic Mexican food. When you’re ready for a drink, take a shot of tequila or mezcal at a local taqueria, or head into a tiki bar for something more sugary. Support Detroit’s revitalization – Detroit is changing for the better, and there are so many local activists that are part of this change. Many formerly abandoned lots have been converted into urban farms, and The Heidelberg Project is a giant outdoor art project that has completely changed a formerly dangerous neighborhood. Eat and gamble in Greektown – As you might expect, this neighborhood is full of authentic Mediterranean restaurants. It’s also home to the Greektown Casino, where you can try your hand at Blackjack and other games. Go shopping in Midtown – Some of the best indie boutiques in Detroit are located in this trendy neighborhood. There are also sleek art galleries the browse, as well as plenty of cute cafes for brunch. You have a few options for getting around Detroit. The most convenient option is to rent a car, as the public transit options in the city don’t extend everywhere. This will give you more mobility when exploring the city. Within downtown, you can take the People Mover, an automated light rail that goes to many of the area’s most popular attractions. You can also take the Q line streetcar, which runs along Woodward Avenue between downtown and Midtown. The city also has a convenient bike rental program you can take advantage of during warm weather. If you have a car, you can also drive to nearby Ann Arbor. This charming town is home to the University of Michigan, and is full of trees that turn vibrant colors in the fall. Although the town has a slower pace than Detroit, it’s still a very pleasant place to explore. Just like in any city, you should keep your wits about you when you’re visiting Detroit. There are still some neighborhoods that are dangerous, but they are outside of the downtown and Midtown areas where most of the attractions are. Use your best judgement, but don’t let stereotypes prevent you from exploring this vibrant city. 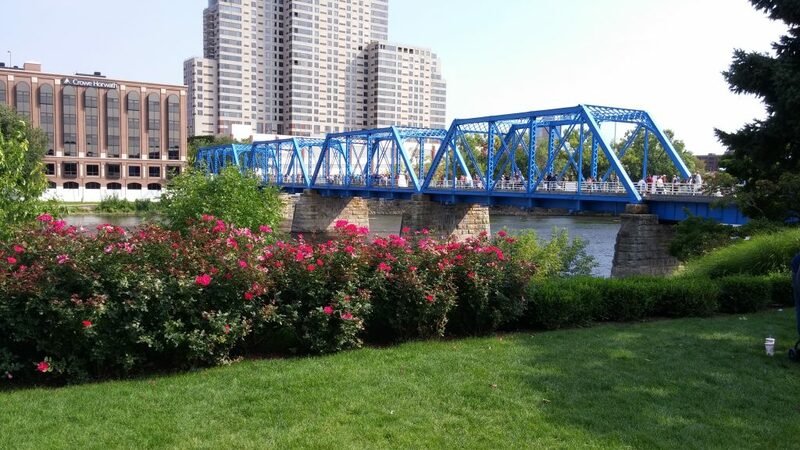 Grand Rapids is a smaller city in Michigan that is known for its burgeoning art scene, and it’s another popular vacation destination that is worth a visit while you are in the state. Although the city is small, there are a wide variety of attractions here that are worth checking out, and you could easily spend several days exploring. Here are some of the best things to see and do while you’re there. Frederik Meijer Gardens – These beautiful gardens are one of the biggest attractions in Grand Rapids, and it’s easy to see why they are so popular. The park includes 158 acres of botanical gardens as well as innovative outdoor sculptures. Visit a museum – There are also plenty of great museums in Grand Rapids, perfect for exploring with your family. The Grand Rapids Art Museum has several interesting collections, and the Grand Rapids Public Museum features historical and cultural exhibits as well as a planetarium. For kids, there’s the interactive Grand Rapids Children’s Museum, and the John Ball Zoo also has a variety of interactive exhibits. The Gerald Ford Presidential Museum is also located in the city. Spend a day outdoors at Millennium Park – This is one of the largest urban parks in Michigan, and if you happen to be visiting on a warm day, there’s plenty to do. It’s situated on wetlands, and there are plenty of hiking trails as well as a large beach area. Explore Heartside – This trendy neighborhood is home to many of the city’s most interesting artists, and there’s plenty of galleries and shopping to keep you entertained. This is also where many of the city’s trendiest restaurants and nightlife are located. Grand Rapids is also known for its local breweries, so be sure to sample a beer or two while you’re out and about. This charming island is located in Lake Huron between the upper and lower peninsulas of Michigan. 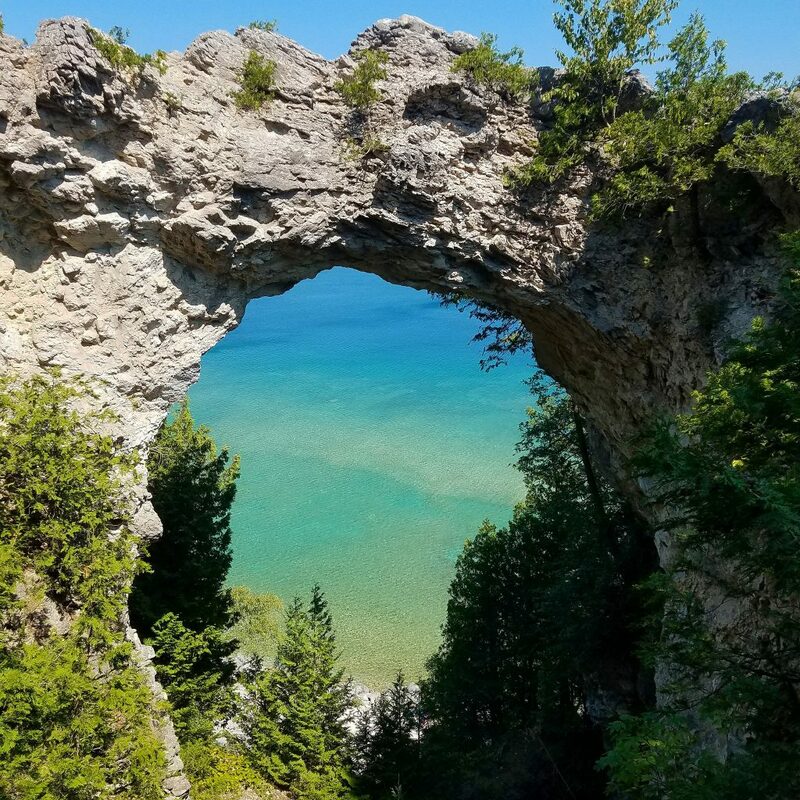 It’s a wonderful getaway from some of the more bustling urban parts of Michigan, and it is a favorite among locals who enjoy spending time outdoors. There are beautiful trails that run throughout the island, and you also shouldn’t miss the stunning Arch Rock formation, which is one of the island’s most defining features. There are also very scenic beaches where you can take in the lakeside views. If you enjoy history, you should also take the time to visit Fort Mackinac, which was an 18th century military base that now houses historical exhibits. You should also visit the Richard and Jane Manoogian Mackinac Museum, which has local art and history exhibits in a charming old building. South Haven is one of the most adorable small towns in Michigan, and it’s the perfect place for a serene getaway. It’s located right on the lake, and has very picturesque beaches where you can relax during the summer. There are also many darling restaurants, art galleries, and shops to explore, perfect for any time of the year. This town is home to some of the oldest, most historic buildings in Michigan, and there are several charming bed and breakfasts to choose from, as well as beach houses that you can rent. It’s also home to a lighthouse that has stood for over 100 years. In addition to the beautiful beaches, this is also a perfect place for anyone who loves boating or fishing. Because of Michigan’s direct proximity to the Great Lakes, there are several historic lighthouses located throughout the state. You can find them on both the upper and lower peninsulas, and they are often located in small, charming lakeside towns. 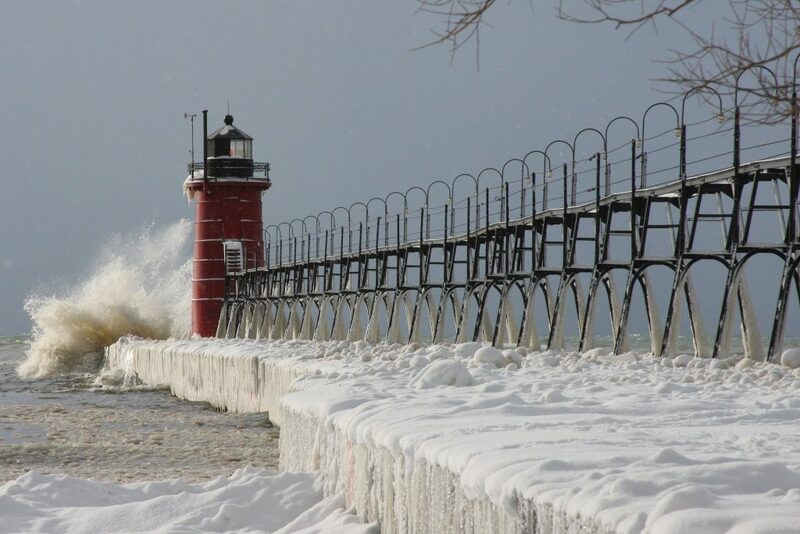 Seeing a lighthouse is a great way to get a feel for both the culture and history of Michigan. If you are traveling to Michigan from outside the United States, you should make sure to confirm your ESTA application status before you go. The ESTA program allows travelers from certain pre-approved countries to enter the United States without having to obtain a visa. To quality for ESTA, your visit must be for less than 90 days, and should be for business, tourism, social, or recreational purposes (not to work or study). You can get your ESTA visa approval online with a valid passport. You should always allow at least three days for processing when you apply for your ESTA. Once your ESTA has been approved, it is valid for two years, and you can update it online as needed.